Where does SLG find this narcotic craving? Not where any normal person would point their finger at, namely the center of power in Sri Lanka. SLG locates the seat of this craving for power in the folds of the opposition United National Party! He should have asked himself the question, as to what space an opposition has in the first place to evince an unquestionable lust for power. He doesn’t, and proceeds to tear the UNP and its leader to pieces. 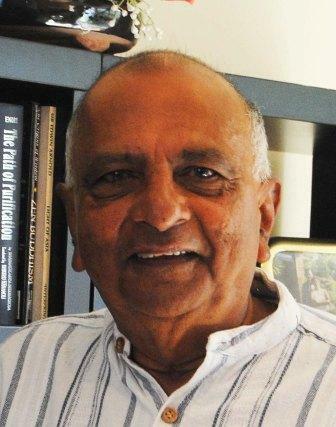 A poor Ranil Wickremasinghe (RW) has been valiantly fighting a home battle to keep his forces together against an avaricious government –constructed political environment that keeps enticing his depleting men with the carrots of perks, power and privileges or the sticks of crime files stored in the drawers. RW has done a trying job with considerable emotional management rare for a leader. The criticism of the Leadership Council (LC) is in order but why can’t SLG realize that this particular device is another strategy to keep the greedy and impatient in the party from moving out? RW, unlike Mahinda Rajapaksa (MR), is adept at management and good governance and surely he knows best that there are managerial defects in the very concept of the Leadership Council. An advantage of the LC is that it provides a break for RW and gives others a space to show their skills. 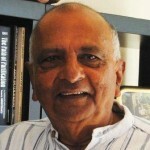 As an illustration Karu Jayasuriya took the LC to good advantage when he utilized it to regain his lost party confidence. Hurrah for Karu, whom I have known to be a good man as I have worked in a Company directorate when he was Chair! If a man like R Premadasa got such an opportunity the latter would have amply demonstrated his ability by turning over the LC to his singular advantage. His son, Sajith, fails to see such a political opportunity and is content to sulk on the sides. From his Dad Sajith must learn that politics is both a learning and waiting game. If he did so he will not be the man in a hurry that he is. The pitiless viciousness that one observes in SLG’s misplaced attack on RW and the UNP dissipates when he deals with President MR. He does admit that MR puts his family first before the country. He asserts that the problem with MR is that he puts himself and his family before the country. What an understatement! Why didn’t SLG illustrate his theory of the thirst for power with reference to what MR has done after the war? What MR has done is off a textbook of authoritarian leaders. Government was able to beat the Tamil terrorists with the use of simple emergency law working under the pre-existing constitutional provisions. However, since the war MR did away with the 17th Amendment that was passed unanimously with the objective of having in place a healthy separation of powers. He brought in the 18th Amendment that virtually centralized all power under the President. The whole administration was under the executive’s political control. In turn, the executive’s powers would translate down to Ministers and right up to the Pradeshiya Sabhas. With no administrative supervision over any of the executive levels below him it has become an open sesame for all government politicians. The result is that cops are totally under political control wheeling and dealing with the politicians and crime syndicates. Peoples’ protest and people’s power have to be resorted to ensure some measure of check. Even when the politicos are caught they are often released or spirited away with the help of top level government high ups. One high profile person returned after his escape from murder charges to make an open statement that he did not remember the crime he is said to have committed. The Prime Minister’s office is named over one of the biggest heroin hauls in the country. I need not go into details as SLG should know better how law and order has totally collapsed. More importantly, SLG should remember how CJ Shirani Bandaranayake had been removed when even parliament didn’t move for her impeachment! If this is done to the CJ what further need be said. As a prominent role player in the justice system SLG should show outrage over these state of affairs. Here is the unquestionable thirst for power. SLG does mention Hirunika’s pathetic plight having had to assert sibling rights with the family to gain position. This is a good point driven home well. That episode epitomizes the state of a country where everything has been set to flow from the center. The Executive President stands as a central colossus “and we poor men walk under his mighty feet.” Like with Hirunika simple humble artists have to immolate themselves before the alter of the center in order to keep themselves in the business of entertaining. I was appalled to watch a video by three very entertaining performers –Sohan Weerasinghe, Rukshan De Silva and Sunil Perera that slates British PM Cameron in a poorly constructed lyric fed into non-music. Cameron and ‘takaran’ don’t rhyme. Their message was the message of a government that is keen to regard human rights as crap. Sunil in particular is a delightful performer but what a poor figure he cuts here. Were they pressurized? Another famous and talented artist had to fake out an ancestry connection between the Rajapakse family and Lord Buddha-just in order to enhance his earnings. SLG must seriously observe how in this pathetic manner all institutions are being brought to their knees and how all social values are being rendered topsy turvy. Although SLG castigates Revd. Maduluwave Sobitha for the latter’s campaign to abolish the Executive Presidency the hard fact is that it is this unsuitable institution that is the source of all the power -greed and political abuse rampant in Sri Lanka today. SLG incongruously denies this premise of Revd. Sobitha but contradicts his stand by lamenting that, unfortunately, Parliament has become the Executive’s rubber stamp. If the Executive can achieve this how come he isn’t that powerful? Today the executive is so powerful that he could stop SLG from practicing and get the justice system to be silent about that. The Legislature is the President’s and the Judiciary is the President’s. Louis XIV said, “I am the state.” Well, the President of Sri Lanka is the state of Sri Lanka. Finally, SLG rightly gives credit to MR for giving leadership to the war against terror. However, he is remiss when he ignores the outrageous injustice done to the General who had conducted the war on ground even to the point of having to shed his blood in the cause. The General’s hard-won titles and medals for courage and skill have been grabbed away and he had been controversially jailed and put out of sight. SLG states that General Sarath Fonseka had “sunk to the low level” of contesting for the President as a common candidate. Here, SLG has lost his logic.